Basin Stories – Transformation of the Valleys — Watershed Productions Inc.
Watershed Productions will be working with the Columbia Basin Trust in coming months to tell the stories of at least 30 Basin residents who have experienced the transformation of the valleys since the 1964 Columbia River Treaty. 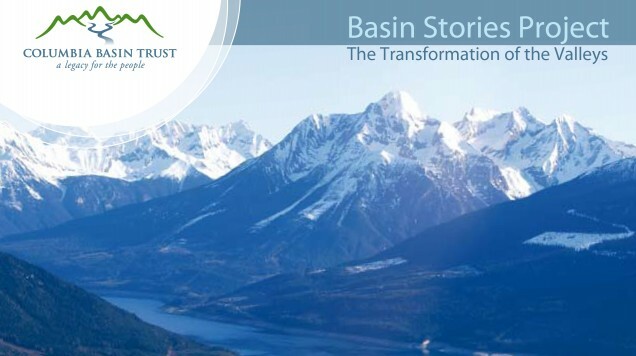 Both Amy Bohigian and Rachel Schmidt will be travelling across the Basin to multiple locations including Valemount, Nakusp, and Castlegar to record these important first-person accounts and ensure that this historical information is archived. Posted on February 3, 2012	in Documentaries, Filmmaking, Resource. Bookmark the permalink.